Who attends our Train The Trainer Courses in Dublin? We get people from lots of different backgrounds attending our Train The Trainer courses. Some attend to begin or enhance a professional career in training, while others have a need to train as part of a different role such a manager, HR professional or team leader. 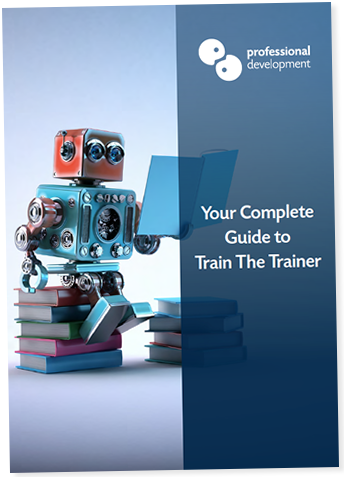 What Train The Trainer Courses are available in Dublin? Is Train The Trainer FETAC Level 6 still available? The old Train the Trainer (FETAC Level 6, code: E30179) is no longer available, as it was deactivated by QQI in December 2014. Our train the trainer courses in Dublin are run by Professional Development. Ireland’s leaders in training for the past 25 years. There courses will provide you with essential training skills and respected certifications to kick start your career as a qualified trainer. If you already have this Train The Trainer (E30179), your qualification will remain valid. Find out how these changes affect your certification.